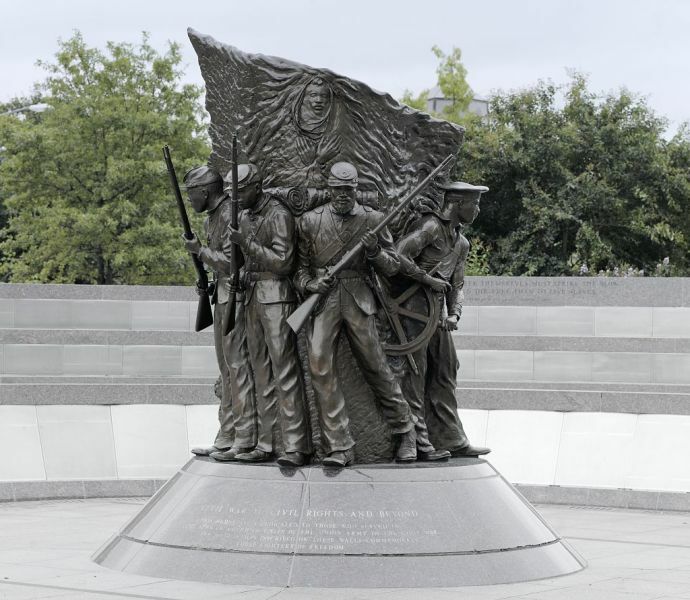 The African American Civil War Memorial, dedicated under the leadership of Dr. Frank Smith Jr. and Colin Powell, serves as tribute to the United States Colored Troops (USCT). The wall lists the names of 209,145 USCT who fought for freedom during the American Civil War. The bronze statue and related museum just across the street, where kids can try on Civil War attire and commemorate the African American soldiers who fought for the Union during the Civil War. The memorial is located at the corner of Vermont Avenue, 10th St and U St NW. The nearest Metro stop is the Green and Yellow line, U St/African American Civil War Memorial/Cardozo stop.